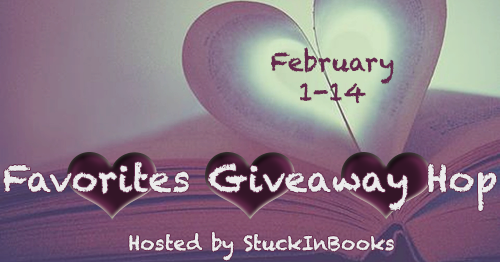 I'm excited to be participating in this Giveaway Hop hosted by Stuck in Books. This is a fun hop because I get to share some of my favorite books with you. For the most part, I've stuck with new books coming out soon and my favorites from 2013. Click on the titles to read a blurb from Goodreads. 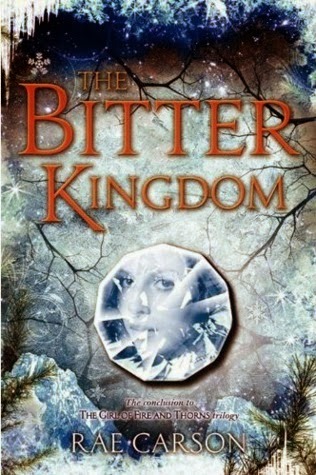 THE BITTER KINGDOM This is a fantastic series. I loved that Elisa struggled with her weight and wasn't gorgeous looking. The progression of the story is great throughout the series and the romance is perfect. 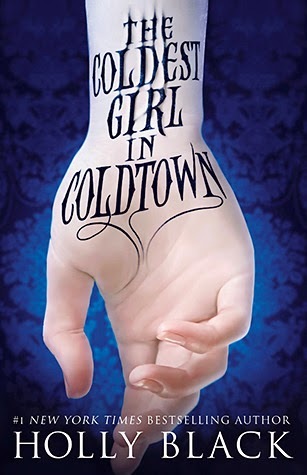 THE COLDEST GIRL IN COLD TOWN I love Holly Black and can't wait to read this in audio version when the weather warms up. I'm adding this one because it's a favorite of so many of you in my recent Giveaway Hops. CONTROL This is another of my favorite debut books of 2013. I loved the dystopian story that focused on kids that are genetic misfits. 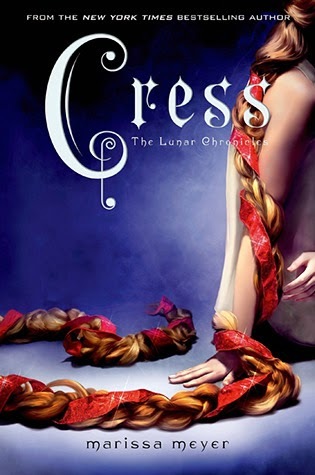 CRESS I love the mix of dystopian/fairytale retelling in this series. I can't wait for the library to get this in. 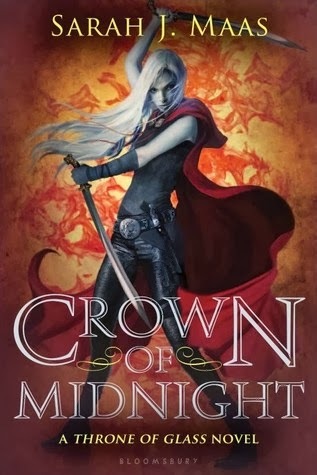 CROWN OF MIDNIGHT I love this series and this was a great example of how a sequel could continue in the same setting but take the story in a new direction. 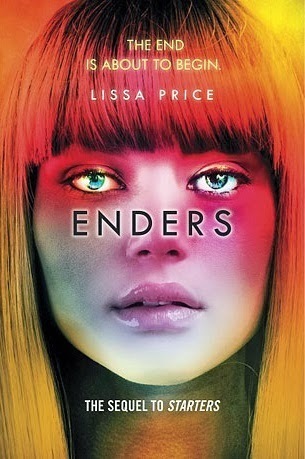 ENDERS I loved the dystopian world in STARTERS, the first book in this series. It was so creepy that older people could rent teenagers' bodies. I can't wait to see where the series goes in this book. 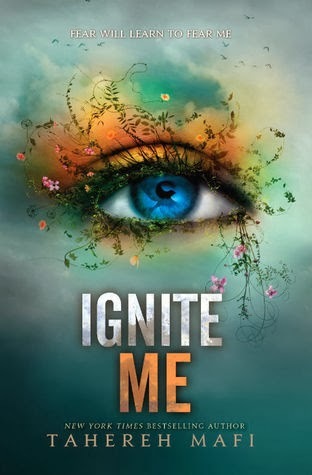 IGNITE ME This is another fantastic dystopian series. I loved the unusual writing in this one. I'm so excited the library is getting this one. 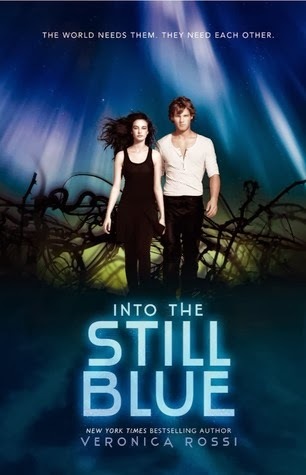 INTO THE STILL BLUE This is another of my favorite dystopian series and it ended so great in this book. I loved how Aria and Perry grew as characters through the series and their romance was done perfectly for me. 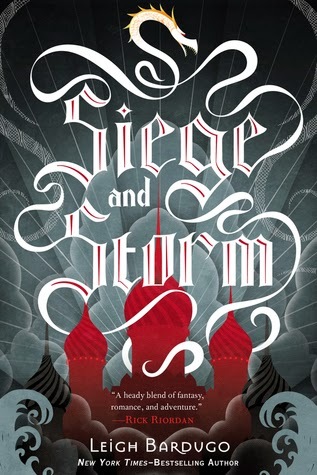 SIEGE AND STORM This is another of my favorite fantasy series. I love the world building and innovative magic. Can't wait to read the next book in the series. 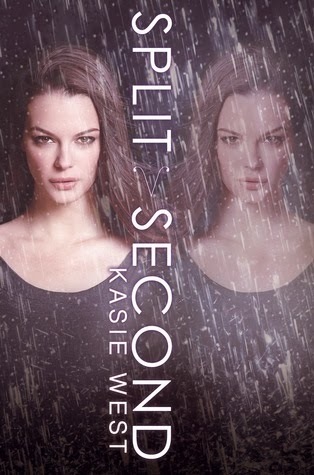 SPLIT SECOND I love the dystopian world where Addie could chose her alternate future in book one. I can't wait to see how things go for her in this book. I won it in a contest and can't wait for it to come. TAKEN This is another of my favorite debuts of 2013. I loved the fantasy/dystopian mix and that this was told from a male POV. 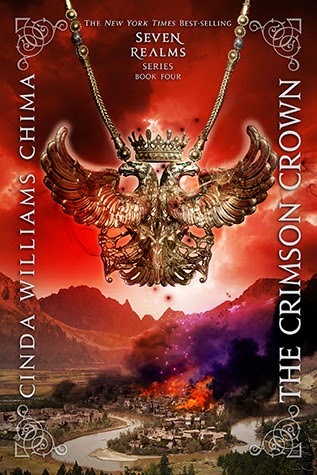 THE CRIMSON CROWN This is one of my all time favorite fantasy series with amazing world building and gripping characters. I've read the whole series in both print and audio versions. 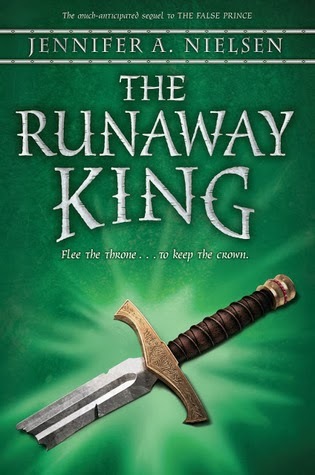 THE RUNAWAY KING This is another of my all time favorite fantasy series that reminds me a lot of Meagan Whalen Turner's The Queen's Thief series. I nominated the first book in the series, THE FALSE PRINCE, for a Cybil and was thrilled when it won. CHAMPION This is a fantastic dystopian series and I loved how it ended. Can't wait to see what Marie Lu writes next. So there will be one winner who gets the book of his/her choice from the choices listed above. If you're on book 1 or 2 of a series that is finishing, I'm glad to get you that book instead as long as it costs no more than the book I've chosen at Amazon for US residents and The Book Depository for International winners. To enter, all you need to do is be a follower (just click the follow button if you’re not a follower) and leave a comment through February 14th. I’ll announce the winner on February 17th. If your e-mail is not on your Google Profile, please leave it in the comments. On Monday I’m interviewing Holly Schindler and giving away a copy of THE JUNCTION OF SUNSHINE AND LUCKY. This is a contemporary middle grade story that I know you’re going to love so I jumped at the chance to be part of Holly’s blog tour. The following Monday I’m interviewing Ryan Graudin and giving away an ARC of ALL THAT GLOWS, her fantastic YA urban fantasy set in London. Wednesday that week I’m participating in PK Hzero’s Blog Tour with an interview and giveaway of BUTTERMAN (TIME) TRAVEL INC., a fantastic NA time travel story that I really enjoyed. And you can find all the other blogs participating in this Giveaway Hop at Stuck in Books. Happy Monday Everyone! Hope you're having a good start to the week. I'm hard at work these days on my online Office class in preparation for a job search later this year and I'm actually getting some writing done too. That's one good thing about the frigid weather. I just want to stay inside and work. 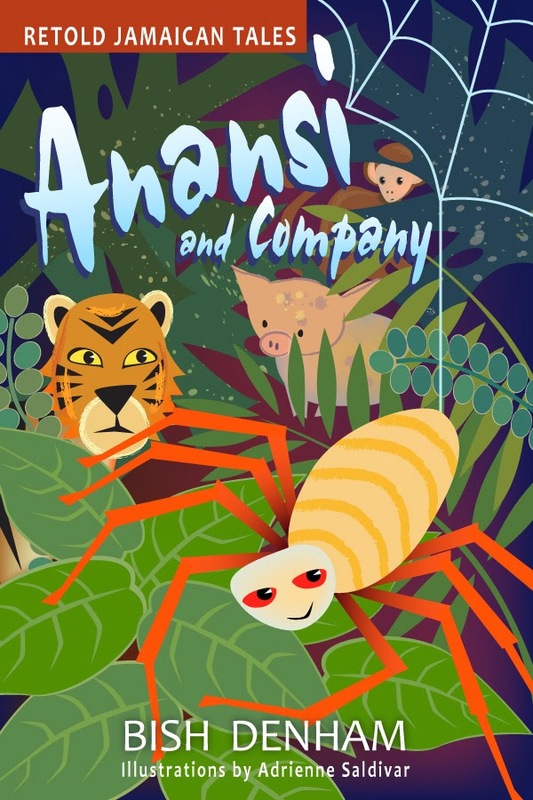 Bish Denham recently published a picture book, ANANSI AND COMPANY. It looks like a really sweet story and I love the cover. How do you escape a hungry tiger? Why do ram-goats smell? What happens if you get too greedy? In this collection of ten retold Jamaican stories, Anansi the spider tricks, sings, and dances his way into and out of trouble. 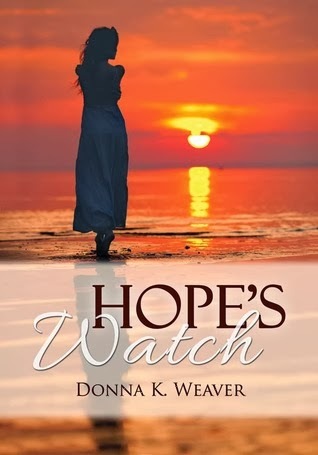 And Donna Weaver has a new book out, HOPE'S WATCH. It sounds fantastic. This little offering tells the story of Elle's first days after being kidnapped during a cruise excursion and then rescued, while the Coast Guard searches for her friend Lyn, who is now lost at sea. It fits nicely between A Change of Plans and Torn Canvas (Jori's tale) which releases in April. And David Powers King with his co-author Michael Jensen just sold their YA fantasy WOVEN to Scholastic to be published in Spring 2015. Go HERE to congratulate David. I also have a winner to announce. 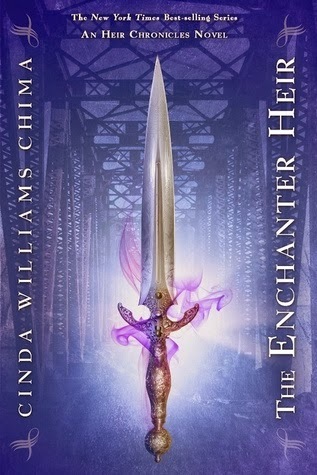 The winner of my ASK THE EXPERT Giveaway is Tina F who picked THE ENCHANTER HEIR. Cograts! E-mail me your address so I can send you your book. Please e-mail me by the end of Wednesday or I'll have to pick another winner. Today I’m thrilled to have debut author Rachel Searles here to share about her sci-fi MG novel THE LOST PLANET that releases tomorrow. This is a fantastic mystery and adventure story set in space. I loved learning about the planets Chase travels to and finding out with him who he really is. This is a great MG adventure story that will really appeal to boys as well as girls. • He woke up on planet Trucon, inside a fence he shouldn't have been able to pass. • He has an annirad blaster wound to the back of his head. • He has no memory. • He is now under the protection of a mysterious benefactor. • His name is Chase Garrety. • He has a message: "Guide the star." • Time is running out. Hi Rachel! Thanks so much for joining us. I always had my nose in either a book or a notebook from the time I was in first grade, and there was never a time when becoming a writer wasn’t in my overall game plan. But in college I studied political science and German, and then I moved to Munich and put off writing to just live life for a while. I went to grad school, got a great job, got married, and generally got caught up in other things until about 2010 when I realized that if I was ever going to fulfill my author dream, I needed to buckle down and actually write something. Once I got serious, it took me over two years to write and revise (and revise, and revise) this book, which sold in late 2012. 2. That’s great you came back to it and were able to sell your first book. Where did you get the idea for your story? When I was trying to get serious with my writing, I tried a few different ideas, but I had a hard time sticking with a story for more than thirty pages, so I decided I needed to write something that was just fantastical and fun, like the big epic action movies I love. Space popped into my head as a setting where I could go nuts creating my own worlds, and the story developed organically from there. 3. That’s cool that you drew on the movies you like to watch. And I can see your story like a move. I found the world building in THE LOST PLANET fascinating. You didn’t just create the planet Trucon, but also other planets and space ships. This is a really inter-galactic adventure. Share your world building process. Did it all come from your imagination or did you have to do research in creating your world? A lot of it came from my overactive imagination, but I definitely read up on astronomy, physics, and space travel. Some of the cultural world building elements bled over from ideas I remembered from my political science studies, or from things I’ve seen or thought about while traveling. And my ace in the hole is my husband—an actual rocket scientist—who spent ten years designing and building rockets and launching them into orbit. So he’s been a tremendous resource for all my abstract space-faring questions. 4. Yeah, that must have been so helpful to have your husband as a resource. 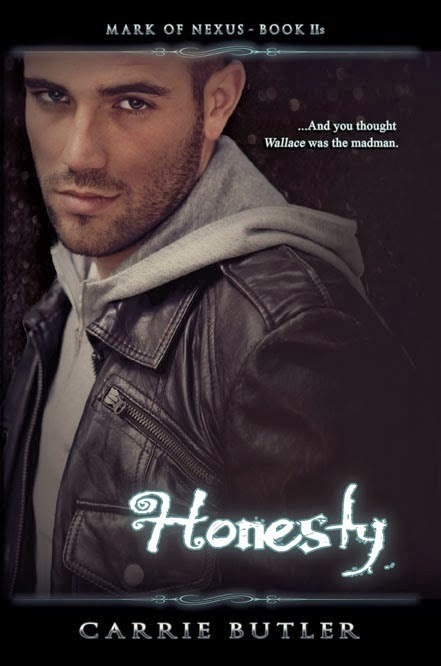 Your story mainly has male characters—Chase, the main character searching for his identity, Parker, the boy whose home he lands on, and Maurus, the man they meet and become involved with. 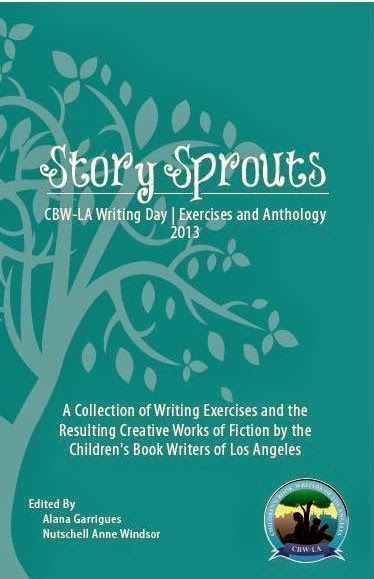 Was it easy writing from a boy’s POV and focusing on mainly male characters? Did you face any challenges and how did you overcome them? I really enjoyed exploring the growing friendship bond between two boys who are bright and brave, but both struggling with lots of questions about their pasts and their place in the universe (while also getting hunted down by mercenaries, space raiders, and the evil Federal Fleet!). As for challenges, I revised so many times that I’ve probably forgotten a lot of the things I had to work on, but I do remember that in early drafts, Chase gave the occasional shriek—my critique partner pointed out to me that shrieking sounds more like something a girl might do. 5. Glad I’m not alone in having to revise a lot. What tips do you have on getting a middle grade voice right, especially a boy’s voice? When I’m trying to get inside the head of my male characters, I think of guys I know: my older brother, guy friends, my husband, my 10-year-old nephew. I think about how they would react, or what they might say in a similar situation. 6. Your agent is Joanna Volpe. She sounds like such an awesome agent. Share how she became your agent and your road to publication. Oh, I love this story so much! I’d been querying for about six months when I saw that Joanna was offering a full manuscript critique by random drawing to people who bought her client Leigh Bardugo’s debut, SHADOW AND BONE, from Books of Wonder. I bought the book, and then won the random drawing! Offering representation certainly wasn’t part of the contest, but a month later Joanna sent me an email asking if I was available to talk on the phone. I didn’t know what to expect, so when she told me she wouldn’t be able to sleep at night if she didn’t make me an offer, I just about died on the spot. She most certainly is an incredible agent, and I feel so lucky to be able to work with her. After I signed with her, we did two rounds of light revisions together, and my book went to auction two weeks after she sent it out on submission. 7. That is about the most amazing agent story I’ve heard. And to win in a Leigh Bardugo giveaway is beyond cool. 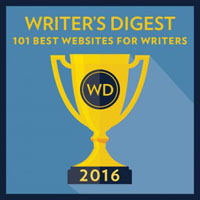 What blogs will be participating in your blog tour? How did you chose them or did you have a blog tour service set it up for you? 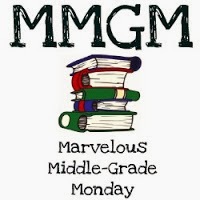 Blogs I’m scheduled to visit include The Midnight Garden, ReadingTeen.net, Read Now Sleep Later, Maria’s Mélange, Book Haven Extraordinaire, The Book Monsters, Book YA Review, Alice Marvels, YA Book Nerd, and Book Jems. I’m so fortunate in that Macmillan has been wonderfully supportive of this book, so they set up the blog tour for me, as well as a physical tour to bookstores and schools in California during my publication week. 8. That’s great your publisher set it up for you. I’ll have to check out these blogs. What’s your favorite social media that you use to build your writer’s platform? 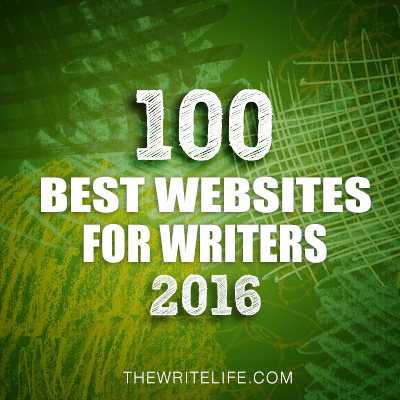 Why and how are you finding it helpful in reaching other writers and potential readers? For me it was difficult to get started on Twitter, but after getting the hang of things, I have found it incredibly useful to reach both readers and writers. Just about the entire kidlit community is on Twitter! And I love the brief, instantaneous, and informal nature of it as a way to connect with people. 9. Yeah, I need to get on Twitter more. What are you working on now? Right now I’m working on revisions to the second book in the Lost Planet series and plotting out the synopsis of a third book to present to my editor. I’ve got other middle grade projects simmering on the back burner, but right now that’s about all I have time for. Thanks for sharing all your advice. 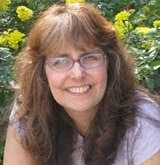 You can find Rachel at at www.rachelsearles.com, twitter.com/RachelSearles, and facebook.com/RachelSearlesAuthor. Rachel and her publisher Macmillan generously offered a ARC of THE LOST PLANET for a giveaway. To enter, all you need to do is be a follower (just click the follow button if you’re not a follower) and leave a comment through February 8th. I’ll announce the winner on February 10th. If your e-mail is not on your Google Profile, please leave it in the comments. If you mention this contest on Twitter, Facebook, or your blog, mention this in the comments and I'll give you an extra entry. You must be 13 or older to enter. International entries are welcome but the winner would get an e-book or $5.00 Amazon gift card. On Friday I’ll be participating in the Favorites Giveaway Hop. I’ll have lots of great choices that I loved or am looking forward to. My post will be posted on Friday afternoon. Next Monday I’m interviewing Holly Schindler and giving away a copy of THE JUNCTION OF SUNSHINE AND LUCKY. This is a contemporary middle grade story that I know you’re going to love so I jumped at the chance to be part of Holly’s blog tour. This week's Agent Spotlight features Lucy Carson of The Friedrich Agency. Clients have mentioned doing revisions for Ms. Carson; otherwise unknown. Ms. Carson’s clients include: Robin Epstein, Jessica Khoury, William Ritter, Josh Sundquist, John Verdon, Matthew Vincent, Alexandra Oliva, Gian Sardar, Sarah Glenn Marsh, and Glynnis MacNicol among others. Send a query by e-mail. No unsolicited manuscripts. No attachments. Query only one agent at agency. See The Friedrich Agency website for complete, up-to-date submission guidelines. Stats on the web suggestion a response range of just days to about six weeks for queries and one to three weeks for requested material. Ms. Carson strives to respond to all queries with at least a form rejection. Lucy Carson is the daughter of agency founder Molly Friedrich. Since joining The Friedrich Agency in 2008, Ms. Carson has become a full agent as well as the Director of Film & TV Rights. She has a strong list of sales and her clients seem quite happy with her representation. I recommend following her on Twitter @LucyACarson where she tweets regularly and occasionally participates in events like #litchat and #pitmad. 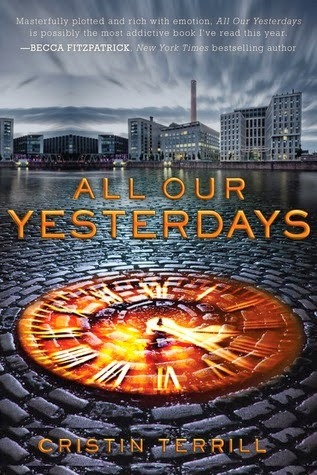 Agents Like Us - Lucy Carson at Valerie Cole Reads (01/2014). Literary Agent Lucy Carson Reports from Bouchercon 2013 at Book Country (09/2013). LitChat: Lucy Carson, Literary Agent at Storify (06/2013). PitchFest Interview & Feedback – Lucy Carson with The Friedrich Agency at Pitch University (06/2011). 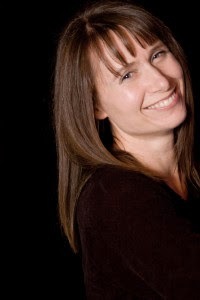 Literary Agent Interview: Lucy Carson of the Friedrich Agency at Guide to Literary Agents (02/2011). See the News & Links page on the agency website for contests and happenings. Lucy Carson and The Friedrich Agency in the 2014 Writer’s Market. Ms. Carson’s agent profile at Poets & Writers. 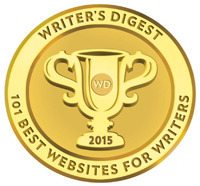 Client William Ritter’s agent story at his blog (12/2013). Client Lori Goldstein’s agent story at her blog (09/2013). Client Jessica Khoury’s query at AQ Connect (2011-12). Client Anna Banks agent story at her blog (02/2011). Client Anna Banks on the Submission Process at Pants on Fire (08/2011). Please see The Friedrich Agency website for additional contact and query information. Last Reviewed By Agent? 1/8/18. Happy Monday Everyone! I’m happy because we get the day off work to celebrate Martin Luther King’s birthday. Even though I had a long break at the holidays, I’m ready for another day off. I guess I always will be ready for one of those days. 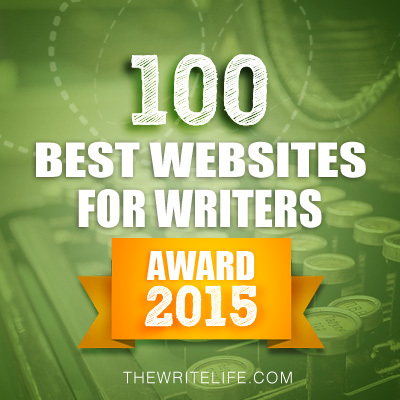 And Literary Rambles made The Write Life Presents 100 Best Websites for Writers list. Go HERE to see the complete list. Congrats to all the winners. 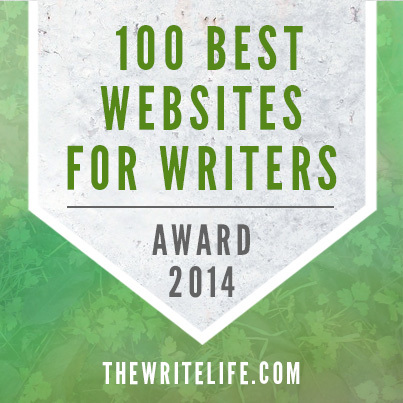 I read a number of the blogs that won and they're fantastic. 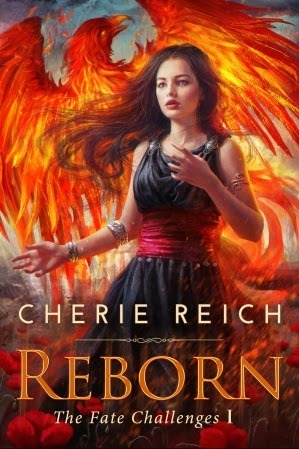 Cherie Reich just revealed her new cover! To save a kingdom, a prophetess must challenge Fate. Reborn, book one of The Fate Challenges, by Cherie Reich will be released on May 23, 2014. For more information about Cherie Reich and her work, please visit her website or blog. The cover art is created by Laura Sava. To add on Goodreads, click here. If you’d like to be notified when Reborn releases, please sign up for her newsletter here. Don't you love it? Congrats, Cherie! 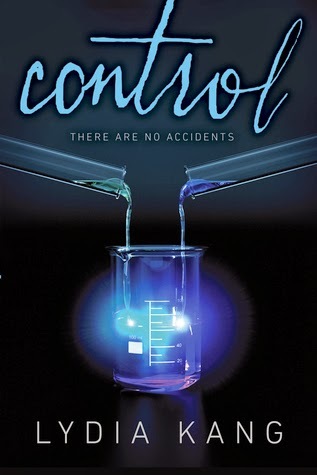 And Carrie Butler revealed her new cover last Monday for her NA Urban Fantasy. Isn't it awesome? Go HERE to congratulate her. When Almira’s family is always making plans for her, she has to sneak around to see her secret boyfriend, Peter. And he’s secret because her strict Muslim family forbids her to date. When her time with Peter is compromised, Almira hatches a crazy plan to spend more time with him. Go HERE to congratulate her. Next I’ve got a winner to announce. The winner of DEFY is Gayle Krause! Congrats! E-mail me your address so I can send you your book. Please e-mail me by the end of Wednesday or I’ll have to pick another winner. Today I’m excited to have debut author Rosamund Hodge here to share about CRUEL BEAUTY, which releases on January 28, 2014. 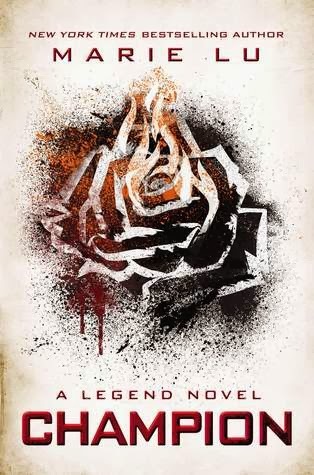 I love fairy tale retellings and I really enjoyed Rosamund’s new take on Beauty and the Beast, especially because it also mixes this tale with Greek mythology. And Nyx is a fascinating character filled with all of the emotions—good and bad—that we all have. Hi Rosamund. Thanks so much for joining us. I have been telling stories ever since I can remember—when I was a little girl, I told my mother endless installments of epic stories as I dried the dishes every night. But I didn’t get the idea of becoming a writer until I was eight, and my thirteen-year-old brother told me I was too young to join his writing club. Of course I swore that I would become a writer and make him SORRY. He’s still not sorry. But at least I get to publish a novel! 2. That’s so funny how you started writing in part because of your brother. What inspired you to write this story? 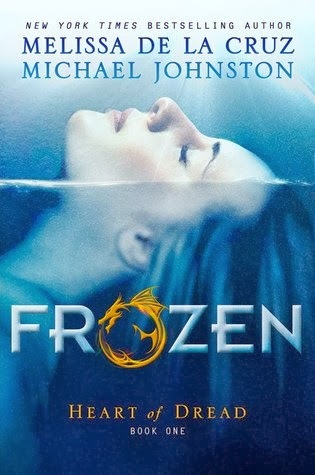 I had never felt any real desire to write a “Beauty and the Beast” retelling; I liked the story, but it felt http://www.surlalunefairytales.com/eastsunwestmoon/index.html] a story where (for the sake of her family) a girl marries a polar bear. He stays a bear during the day, but at night he comes to her in the form of a man. Only she's forbidden to light a candle and look at him — and when she goes home to visit her family, her mother goads her into looking anyway, which triggers a curse that forces them apart. Cue epic quest to get him back. It is very, very clearly another form of “Beauty and the Beast.” It is also very clearly another form of “Cupid and Psyche” [http://en.wikipedia.org/wiki/Cupid_and_Psyche]—a Greco-Roman myth about a girl who thinks she’s beings sacrificed to a monster but is actually marrying the god of love, and who is forbidden to see his face. Suddenly “Beauty and the Beast” wasn’t just one static little separate story to me; it was part of a whole tapestry of stories about brave young women travel to strange places and marry monsters who are really men (or men who are really monsters, which is how some “Bluebeard” [http://www.surlalunefairytales.com/bluebeard/index.html] elements ended up in the novel.) And it was in the intersection of those stories that I found the tale I wanted to tell. 3. Awesome that you got the idea from reading a book. I love learning from the books I read and it’s true books, TV, and movies can inspire our ideas. Nyx knows from a young age that her family picked her instead of her sister to marry and kill Ignifex, the evil lord ruling her land. And she has a lot of feeling about this, including a lot of anger, which is understandable, but could also lead to Nyx not being sympathetic. And you show us this from the beginning of the story. Share how you balanced her negative feelings with her other qualities to make her remain a sympathetic character. That’s kind of a funny question to me, because when I was writing CRUEL BEAUTY, I actually tried very hard not to make Nyx a nice person, and I ended up breaking my original outline to do it! But I did still want her to be sympathetic, and I guess the main thing I did was try to make her aware of when she was being unjust and unkind. I ended up drawing a lot on my own teenage years to write about that. Now, I had a very happy childhood and my parents hardly ever sold me to demon princes. But I did have a bad temper, so I knew very well the horrible feeling of being furious while knowing you had no right be furious. And I’d always loved heroines who struggled with genuinely ugly feelings. So I tried to do that with Nyx. 4. You did a good job with that. And it’s true we all have hidden ugly feelings. I read that you read a lot of fairy tales. Where do you find all the fairy tales and the different versions of them? Do you have any tips for writing a fairy tale retelling? It’s hard to say where I find fairy tales, because my entire life has been saturated with them. My mom read aloud Grimm’s fairy tales to me and my brothers when we were children. We had a great pile of fairy tale picture books—which varied widely in how close they were to their original sources—as well as the Andrew Lang fairy books. And then I kept reading at the library, too. Nowadays, two places I often look for inspiration are the Sur La Lune [http://www.surlalunefairytales.com] website (which focuses on a small set of fairy tales, but annotates them and provides a lot of information on different versions and related stories) and D. L. Ashman’s Folklore and Mythology site [http://www.pitt.edu/~dash/folktexts.html] which provides a vast number of fairy tales organized by type. As for tips: don’t just read a lot of fairy tales, read a lot of different versions. Most of us grow up knowing fairytales in two forms: the Disney version, and the Standard Picture Book version, which is usually a Grimm/Perault hybrid with the ickiest bits removed. But every story comes with a million different versions—or ancestors, or siblings. It’s in the places where stories overlap and intersect and contradict that I find my inspiration, and I think that learning about that complexity can help you create something that isn’t just Disney-with-a-twist. 5. Thanks for the links. I’ll have to check them out. You wrote this during NaNo. What was your revision process like and what challenges did you have to overcome? Well, to be perfectly accurate: CRUEL BEAUTY was not a NaNoWriMo novel. I started it in September and finished it in mid-November, while also trying to hit the word-count goals for my actual NaNoWriMo project. (It was a crazy month.) So it wasn’t a NaNoWriMo novel exactly . . . but it was written pretty quickly, and so a lot of the revisions involved expanding it, and getting the stuff that had been in my head onto the paper. 6. What have you learned craft-wise from working with your editor? I have learned that if, when you hand people your novel, you keep having to tell them, “This is set in a world where X and Y and Z, and also sometimes Q, except when P”—at that point, you should probably just put X, Y, Z, P, and Q into the actual text of your novel. Also K. It’s really important to have K, and by “K” I mean “kissing scenes,” which I’ve had to expand in every draft I’ve sent to my editor. 7. Your agent is Hannah Bowman. Share how she became your agent and your road to publication. Submitting the novel to editors was much easier and faster. Sara Sargent at Balzer + Bray made an offer within a couple of weeks, and that was that! 8. Even if your story to getting an agent isn’t exciting, it shows the importance of not giving up. Your book has been selected as an Epic Read. How did it get selected and what does that mean for you in terms of publicizing your book? I have no idea how my book was selected as an Epic Read. The oracle commanded it? The stars aligned? I presume it was something to do with the Marketing and Publicity departments, which for all I know consult oracles. What it means for me, so far, is that it’s been featured on the Epic Reads blog. Perhaps at some point they will also give me a tiara? 9. You’re a member of OneFour Kidlit, a group of MG and YA debut authors. How did you find out about this group and how has it helped you? When do you recommend a debut author seek out such a group and how does she/he find out about these type of groups? I’m afraid the story of how I found OneFour KidLit is not too universally helpful—my agent heard about it on Twitter and passed the news on to me. Obviously that won’t happen to everyone! But I would guess Twitter and general networking is a good place to start. Alternately, you could probably contact the last year’s debut group(s)—they’re probably setting up interviews with next year’s. 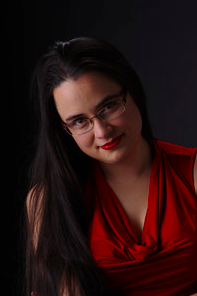 (OneFour KidLit did a bunch of interviews with people who debuted in 2013.) As for when: I joined in September 2012 (about when OneFour started), and that’s probably a good time to start looking. How has OneFour helped me? Well, they’ve helped with publicity, though of course with that sort of thing, it’s really hard to gauge how much any one effort has helped. I think the main benefit is that it’s given me a community of writers who are going through the same things I am. And it’s how I ended up involved in The Hanging Garden [http://hanginggardenstories.tumblr.com], a blog of short fiction inspired by GIFs. 10. It’s good to know that we can find out about these groups through our agent or word of mouth. What are you working on now? I’m working on my second novel for Balzer + Bray. It’s . . . how shall I put this? It’s kind of like “Little Red Riding Hood” meets (gender-swapped) “Girl With No Hands.” [link: http://www.surlalunefairytales.com/armlessmaiden/index.html]. There’s a bit of Norse mythology in there too, because everything is better with Norse mythology. Rosamund and her publisher Harper Collins generously offered an ARC of CRUEL BEAUTY for a giveaway. To enter, all you need to do is be a follower (just click the follow button if you’re not a follower) and leave a comment through February 1st. I’ll announce the winner on February 3rd. If your e-mail is not on your Google Profile, please leave it in the comments. On Wednesday I’m interviewing follower and debut author Stina Lindenblatt and giving away a copy of TELL ME WHEN, her contemporary NA story. Her characters are rich, complex people that I grew to love and even though I don’t read much contemporary stories, I read her book in two days. And it's always exciting when one of our followers becomes a published author. Yay! 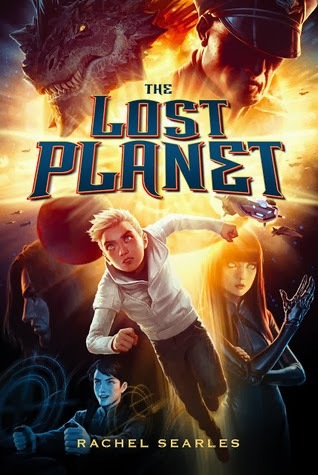 Next Monday I’m interviewing MG debut author Rachel Searles and giving away a ARC of THE LOST PLANET. I loved the plot of this one. Chase wakes up on an unknown planet not knowing who he is and goes on an action packed space adventure to discover who he really is. Next Friday I’ll be participating in the Favorites Giveaway Hop. I’ll have lots of great choices that I loved or am looking forward to. My post will be posted on Friday afternoon. The following Monday I’m interviewing Holly Schindler and giving away a copy of THE JUNCTION OF SUNSHINE AND LUCKY. This is a contemporary middle grade story that I know you’re going to love so I jumped at the chance to be part of Holly’s blog tour. 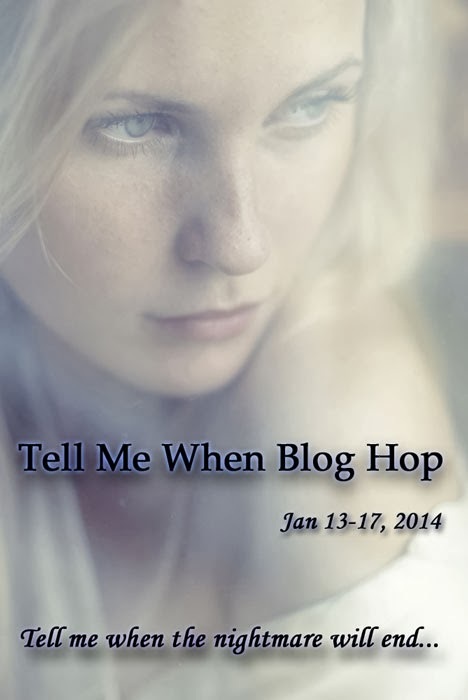 Today I’m thrilled to be a part of Stina Lindenblatt’s TELL ME WHEN Blog Hop. Stina is a fantastic follower and become a good friend. So I’m beyond thrilled to help celebrate her book debut. You can stop by Stina’s blog HERE to see her post and all the other blogs participating in this blog hop. 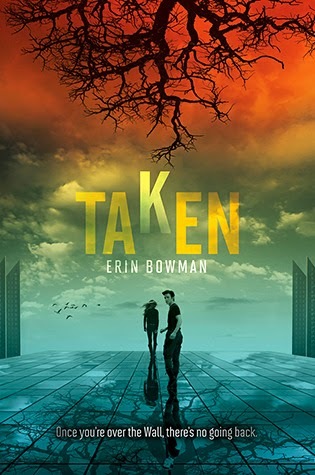 Because her book deals with a college freshman struggling with being stalked and kidnapped in her senior year of high school, Stina is asking us to discuss something about stalking. And she’s donating $1.00 for each blog participant to a woman’s emergency shelter. She’s doing this because a common form of stalking comes from an abusive relationship whether the woman is still in the relationship or after it’s ended. Thankfully I don’t have a personal experience of stalking to share. But I do know the fear of it. I had to work to help put myself through college and then I worked to totally pay for law school on my own. I was a waitress because I could make good money working evenings at an upscale restaurant. I couldn’t afford a car, so I walked home 3-5 nights a week between 11:30 to 12:30 at night. I was petrified of someone stalking me or just seeing me out there alone and sexually assaulting me. Now I have a daughter who’s a junior in high school and will be going away to college soon. And I have that same fear for her of walking alone at night and being the victim of some attacker. Or having a guy stalk her at a bar or party and spike her drink. All I can do is to teach her to be smart (she is). And encourage her not to walk alone at night and have a buddy at any parties or at a bar. I also now make a point not to let her walk alone in the dark. Many of the girls walk to the bus in the dark in the morning. I could let her do it too. But I don’t because I’m her buddy for now. And I hope she’ll remember that I did not let her walk alone in the dark when she’s out on her own. It’s so sad we have to worry about stalking and other crimes against women. I guess we all just have to do our part to try not to be victims of this, to create a world where these things don’t happen, and to support any girls, women, or guys (because I think guys can be victims too) who we know that are victims of these terrible crimes. becoming a veterinarian. She should be working hard to make sense of her precalculus math class. When their fragile future together is threatened by a stalker Amber thought was locked away for good, Marcus is determined to protect her. And Amber is determined to protect Marcus…even if that means pushing him away. What about you? Do you have any experiences about stalking to share? 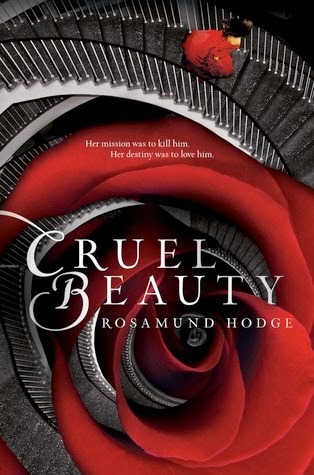 On Monday when I interview debut author Rosamund Hodge with a ARC giveaway of CRUEL BEAUTY, her YA dark retelling of Beauty and the Beast. And next Wednesday I interview Stina and give away a copy of TELL ME WHEN. I loved Amber and Marcus, the two main characters. They really made the book fantastic for me. And Stina has a awesome road to agent and book deal story you won’t want to miss. And don’t forget Casey’s Tip Tuesday and Agent Spotlights!